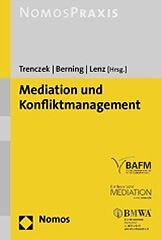 Mediation is increasingly becoming part of the core skills base of lawyers, psychologists, counsellors, social workers, human resource personnel, corporate managers, change agents, strategic planners, alliance facilitators and other members of the legal, management and social science professions. Professional mediation saves (court, business, emotional and other personal) costs, however, it is not free of charge. A mediation session usually lasts 90-120 minutes, mostly more than one session is necessary to settle the dispute. The charge per hour is € 150-250.- (plus GST), however, for non profit organisations/charitable reasons the SIMK serves also pro bono.